On the southern end of Hatteras Island, Hatteras, NC, or as the locals call it, Hatteras Village, is known for its ties to Outer Banks offshore charter fishing. The village borders Hatteras Inlet, giving boats that dock here an easy and quick route to the Gulf Stream and providing the area with a rich history centered around that inlet and its place in maritime traffic. Hatteras, NC, was settled but didn’t really begin to grow and prosper until the opening of Hatteras Inlet in 1846. The new, deep inlet lured maritime traffic away from Ocracoke Inlet, and the village naturally grew to accommodate the ships that were passing through Hatteras Inlet from ocean to sound or vice versa. Hatteras, NC’s, post office was established in 1858. Early in the Civil War, the Union got control of two Confederate forts near the inlet, and the village was pretty much taken over by Federal soldiers for the duration of the war. After the war, maritime traffic picked back up through the inlet, and Hatteras prospered. For awhile it was one of the largest ports in the state, the main point of entry for cargo ships headed to mainland communities like Elizabeth City or New Bern. Hatteras, NC, suffered a bit of a decline as the state built major ports at Wilmington and Morehead City, but the residents got by on government jobs, commercial fishing and duck hunting. When the sport of Hatteras offshore charter fishing took off here beginning in the late 1930s, the village started its rise in popularity as a tourist destination. From a NC Maritime Museum that teaches you about shipwrecks and maritime history to the simple pleasure of watching the offshore boats offload their catches of the day at local marinas, Hatteras, NC, attractions have a lot to keep you interested. There's a monument that honors the first safe haven for African-Americans during the Civil War and one that informs you of Civil War forts here. You can begin to understand the size of some of the massive Gulf Stream fish caught offshore with a display of the then-record holding blue marlin caught in 1962. There's an ocean center that provides a variety of interactive educational activities to help you understand this environment, and some find the free ferry to Ocracoke, which leaves from Hatteras Village, to be an attraction too. (It's free to ride it, but once you're on Ocracoke Island, you're still 13 or so miles from the village.) You can also explore a weather station whose data through the years has helped make modern forecasting more accurate. The focus of Hatteras, NC, things to do has always been fishing – offshore, inshore, beach, wherever you can cast a line. Many offshore anglers drive from points north to Hatteras, NC, marinas since it’s a significantly shorter trip to the Gulf Stream from here. But if you’re not the fish-catching sort, outfitters can get you into a kayak, onto a standup paddleboard, high up on a parasail, taking a guided history tour around the village or enjoying a sunset cruise. If you're certified, you can also dive deep to explore the many shipwrecks off our coast. If you time it right, there are festivals that celebrate our fishing heritage and the wild side of the island . . . as in wildlife! Because this village has been one of the centers of residential living, Hatteras, NC, shopping includes more everyday life-type businesses than some towns on the island. Here there are several good grocery stores, a hardware store, a pharmacy, a couple of hair and nail salons, a produce company and several seafood markets selling fish that was caught that day. But you also find clothing stores that carry popular brands and styles, jewelry, sports outfitters, tackle shops, gift stores and excellent art galleries. Just because this town is small and easygoing doesn't mean it can't keep up with the high standards that local restaurants have always set (this area is definitely not your fried seafood platter and nothing else kind of place!). Several of Hatteras, NC's, restaurants are run by chefs who have worked in big city, top end businesses and have brought that skill back to a place where life is governed by sea breezes. They travel in the off-season to discover new flavors and combinations. Hatteras diners are the big winners. Of course, there are also delis, pizza places, sandwich shops, BBQ, steamed seafood, quick bites to take on the ferry, food with a Mexican or New Orleans influence, a coffee shop and more. And what adds to the appeal of so many of these Hatteras, NC, restaurants is their locations right on the harbor with outstanding views. Sure, pull up to the tiki bar, order a cool drink and watch that sun go down. Most these places can get you in pretty quickly even in the busy summer months, but if you're traveling with an entourage and would like to be seated together for dinner, it's a good idea to call ahead and see if your chosen spot can accommodate you. And, yes, you still can order a fried seafood platter at a lot of these places, but you might want to rethink that. To house all those visiting duck hunters and anglers that were some of the earliest visitors to the area, the first Hatteras, NC, hotel was built in 1928. Since then, the options for visitors have expanded quite a bit. Today's Hatteras, NC, hotels range from luxurious condos to campgrounds to harborside hotels. Some of the older properties are simple and perfect if you only want a clean and friendly place to put your head on a pillow at night. Other accommodations, such as the condo units that are popular here, are upscale and packed with amenities. Hatteras, NC, vacation rental houses offer some of the most decked out homes on all of Hatteras Island. One note for visitors: Book early. 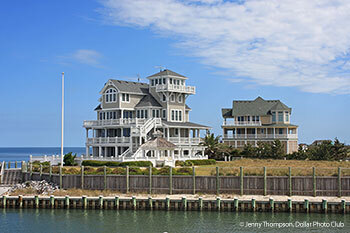 These Hatteras hotels and homes are popular! What's the difference between Hatteras Island and Hatteras, NC? This is actually a really good question because, if you're not from around here, you might hear locals talking and get confused since we often interchange the words for the island and the town. Hatteras, NC, is located on Hatteras Island on the southern tip. It's separated from Ocracoke Island by Hatteras Inlet. The town's official name is Hatteras, but because the island is called by the same name, we locals often refer to the town as Hatteras Village. So, for us locals, when we say we're heading to Hatteras, we really mean we're heading to the island somewhere, not necessarily to the town. How far is Hatteras, NC, from the rest of the towns on the Outer Banks? The times we're giving here count in summer traffic. In the slower seasons, you might knock off 5 minutes or so. Is Hatteras, NC, where we catch the ferry to Ocracoke? Yes, the free ferry to Ocracoke leaves from Hatteras Village, and you can access a current schedule here. The ride to Ocracoke takes about an hour and is quite scenic. Once you're on Ocracoke Island, you have about a 15-minute drive into the village. (Between the ferry dock and the village is mostly wide, open beach.) The lines to cross from Hatteras are often pretty long in the summer, but since ferries run on 30-minute schedules then, your wait shouldn't be too long. Be aware that there is a line for locals who have passes that allow them to priority board, so don't be surprised when the ferry attendants don't place you in the short line! Why is Hatteras known as the Graveyard of the Atlantic? The shifting shoals that surround the Outer Banks have long been hazards to mariners. But when you add in frequent storm systems and the Labrador Current and Gulf Stream that bring ships close to these barrier islands and that mariners often try to ride, often to their peril, you have an area of water that presents particular danger. Since records have been kept, we know of more than 1,000 ships that have met their doom just off these shores, and more are being discovered with the help of advanced technology. Historically, the wood and goods from these wrecked ships provided income and materials for building structures to residents. And, some local families can trace their lineage to shipwreck survivors who came ashore and decided to stay put. The many ships that were being lost off our coast prompted the U. S. Lighthouse Service to establish the lighthouse system you see today as aids to navigation. Each had its own signaling sequence so mariners could identify where they were relative to the shore. While some of the lighthouses have been rebuilt since the originals and/or moved, these structures are still major attractions. They're all distinct in their exteriors. Ocracoke's is all white, Hatteras Lighthouse is black and white with a spiral pattern, Bodie Island's is black and white with horizontal stripes, Currituck Beach's is all unpainted red brick. The Roanoke Marshes Lighthouse in Manteo is a different type than the others as it's what's known as a screw-pile light that was located in the middle of sound waters. It's an all-white wooden structure. 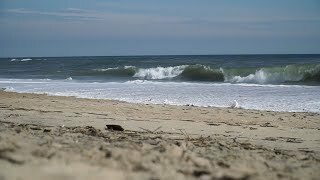 What are the beach accesses in Hatteras, NC? And can we drive on the beach? There is an off-road vehicle ramp in Hatteras Village where you can either walk over or, if you have a permit, drive your car onto the beach. You may obtain a permit at either the Hatteras Island Visitor Center in Buxton (just a 15-minute drive north) or at Bodie Island, which is about an hour north. Do not drive onto the beach without a permit, or you're likely to get a hefty ticket. Also, be sure you pay attention to the posted signs about what areas of the beach are closed to driving due to sea turtle or bird nestings. We're sure we don't need to say to make sure you also have a 4WD vehicle, right? Here's why we do need to say it: Every year, countless cars have to be towed off the beach. We're talking expensive sports cars, family station wagons, vans, etc. It's expensive, and no one who watches the drama unfold has observed the occupants of those cars smiling. Even some of the lifted trucks here have a tough time in the deep sand. So, use your noggin. If you're staying in an oceanfront vacation rental cottage, you're in like Flynn in terms of beach access. Hatteras Village has some spectacular rental homes that put you right in front of Mother Ocean. Are there lifeguards on the Hatteras, NC, beaches? There are no guarded beaches in Hatteras, so you must use caution. The closest guards are at the Hatteras Island Lighthouse beach, about a 15-minute drive north, and they're on duty Memorial Day through Labor Day from 9 a.m. to 5 p.m. If you go into the water from your hotel or vacation rental in Hatteras, take some precautions. Swim with a buddy. Don't over-estimate your abilities. Educate yourself (and your kids!) about what a rip current is and how to get out of them (swim parallel to the shore, not directly back in). Always have a personal flotation device on the beach with you and a cell phone to dial 911. Never, ever take your eyes off your small ones because the shore break can be quite strong here. We don't mean to sound alarmist here, but this ocean's force is, often, much stronger than what most our visitors are used to. Better safe than sorry. Is my dog allowed on the beach in Hatteras, NC? Yep, Hatteras beaches are particularly pet-friendly. In case you don't already know, all the beaches on Hatteras Island are under the purview of Cape Hatteras National Seashore, part of the National Park Service, so their regulations govern what happens on the beaches. They request that your dog always be on a leash of no more than 6 feet unless they're romping in the water. Be aware that the sand in the summer can get scorching hot, so protect that sweet pup's feet!